Through grace, Ruth Harbor Ministries provides Christ-centered homes, programs and comprehensive services resulting in positive life change for young moms who are facing unplanned pregnancies or parenting young children.  Ruth Harbor Ministries offers Christ-centered homes & programs for pregnant and parenting young moms. The ministry was originally founded in 1996 by three women who believed God called them to provide a safe place and fill a service and support gap that existed when a young woman decided to continue her pregnancy, but before she gave birth. 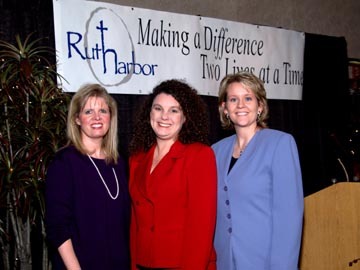 Ruth Harbor opened its doors and welcomed its first maternity residents at the Des Moines home in 2001. After years of serving young moms facing unplanned pregnancies, we began to recognize another “gap” that needed to be filled – young moms who have chosen to parent and are struggling to thrive and provide a quality life for their children. In 2016, we started a Mother-Child Program and also began accepting young moms who were parenting one young child. Then, in 2018, we opened a full-time Mother-Child Program at a second home in Carlisle, Iowa, returning the original Des Moines home back into a full-time Maternity Program for young moms facing unplanned pregnancies. All of our services are provided at no cost to the residents, and as an interdenominational, Christ-centered ministry, we do not utilize government funding. Therefore, we rely solely on the support of individuals, churches and groups who support our mission. Your monthly support or one-time gift provides assistance for young women who have experienced unplanned pregnancies and their babies. Staff members come along side each resident to design a Care Plan tailored specifically to reach personal goals of growth, independence, safety, and life skills. With the support and direction of a staff counselor and live-in house parents, residents live together as a family, learning to care for both their home and one another. Our focus is on being a home, not an institution, where up to six residents live modeling a family lifestyle. The emphasis is on grace and independent living rather than any circumstances that brought our residents here. Additional support is often provided through mentors, host homes, and partner agencies. Information on parenting, adoption and life-skill training is provided by subject matter experts. Information on parenting, adoption and life-skill training is provided by subject matter experts. Learn more. Ruth Harbor is a 6-8 resident home—the key word being HOME. Ruth Harbor looks like and functions like a home. The residents live much like a family -- cooking, cleaning and caring for one another according to their physical abilities. Young moms who come to Ruth Harbor receive support in decision-making and life skills, and are encouraged to continue their education. Our ultimate goal is for these young moms to experience positive life change and ensure their children are well cared for. The key difference between Ruth Harbor and other programs helping young moms is that our goal is to bring about a life change that ends the cycle of self-defeating behavior. Our interdenominational Christian ministry was founded on the belief that a personal relationship with Christ is at the center of life change. The circumstances which bring women to Ruth Harbor are of little consequence; instead, we focus on who they are and how they feel about themselves when they leave, as well as ensuring their children are well cared for. Grace is at the heart of everything we do at Ruth Harbor. All young moms receive ongoing professional counseling at Ruth Harbor. All of the women who enter our Mother-Child Program are given ongoing parenting training and instruction. Young moms in our Maternity Program are counseled through the decision of whether to parent or place their unborn children for adoption, but it is solely their decision. Residents who decide to parent their babies will receive extensive parenting classes and life skills training to ensure those babies are well cared for after they’re born. Residents who choose adoption will be well-informed of their options and assisted through the process, in addition to receiving life skills training and all of the other services available at Ruth Harbor. While the focus of Ruth Harbor’s ministry is to support the young moms and children we serve, we believe everyone thrives when the entire family is healthy. Therefore, our counseling and parenting training support is offered to the families and birth fathers of our residents at no charge, provided those relationships are healthy for our residents to continue to engage in.